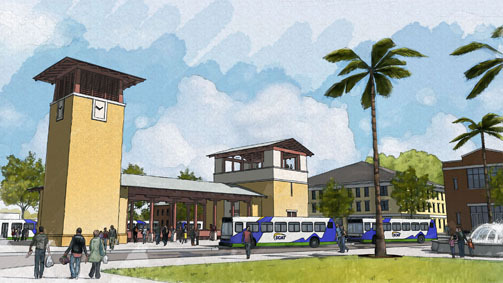 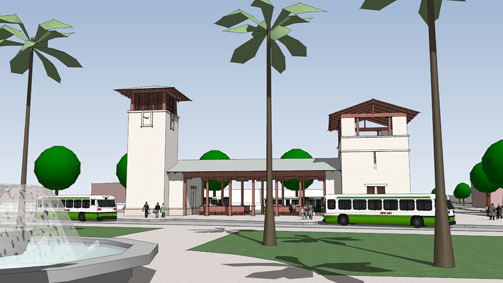 This bus transfer station design anchors a proposed new plaza and green space surrounded by mixed-use buildings and county facilities. 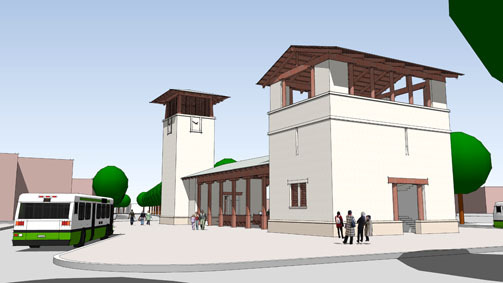 The transfer station is a part of a master-planning effort to create a mixed-use, pedestrian friendly transit node in what is currently a car-dominated arterial. 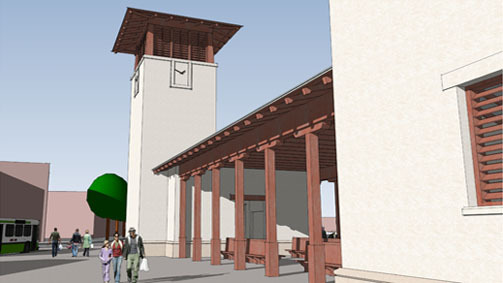 The transfer station contains an open air, covered waiting area, restrooms, bike storage, and vending space. 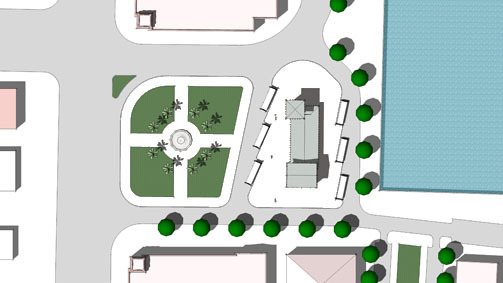 An observation deck provides views of the neighborhood, and the clock tower terminates a heavily used street.